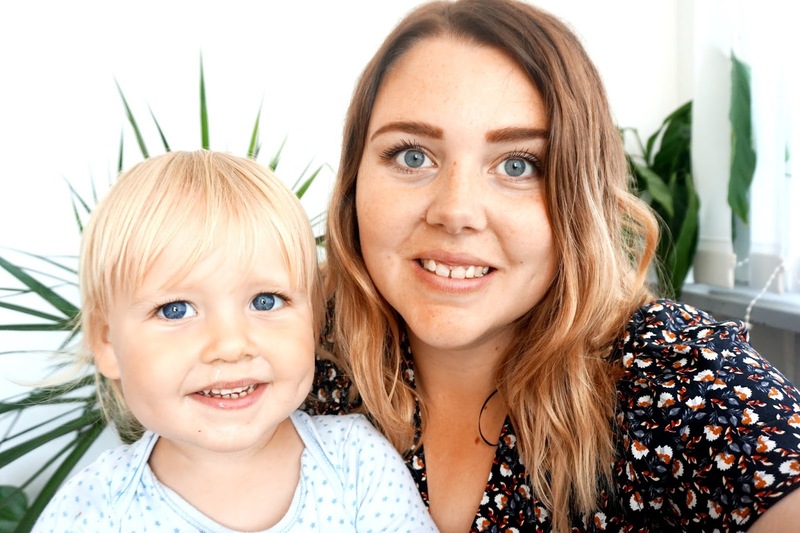 Seeing as it is World Breastfeeding Week, I thought I'd join in and just talk a little about my breastfeeding journey. When I found out I was pregnant with my third baby, I instantly knew I wanted to try breastfeeding, and throughout my pregnancy, I was hoping that baby would latch from the first few feeds. I didn't know very much about breastfeeding, although I had some great information from two good friends of mine who breastfed their little ones. I, however, didn't breastfeed my two eldest, I bottle fed them, and I don't feel guilty at all for doing so, that's for another post, maybe? The first feed happened when my little boy, Freddie, was about 3 or so hours old. I thought they latched the baby on pretty much straight away, but that wasn't the case. Being told and reading information is so different from reality. I remember that feeling when I first started feeding, I was full of mixed emotions, but I felt so lucky. I felt happy and amazing. I was over the moon that my boy had latched on straight away and was feeding so well. As he was born early evening, I stayed in the hospital over night. We were sent to the ward to sleep overnight, and I was in a ward with about 5 other new mums, all who were breastfeeding too. There was one mum who was there for around 5 days, and her baby was unable to latch. I just wanted to give her a big hug. I felt guilty in a way that Freddie was doing so well. I kept myself to myself while I was in hospital, I hardly spoke to anyone, only the midwives/doctors. The following morning I was lucky enough to have 'passed' the 'breastfeeding test' and was one of the first ones to be sent home by early afternoon. I was so pleased and super happy. But once I was home, that's when it all began. I absolutely loved the newborn stage, I was absolutely in love all over again and loved every second of it. My only struggle was having so many visitors. Don't get me wrong, I loved that they were coming to see Freddie and checking to see if I was ok. But those first two weeks, I struggled so bad. If I were ever going to have another baby (which will never happen) I would do things a lot different. Breastfeeding was a whole new world to me. I felt uncomfortable feeding in front of people, and I felt it was unfair that I was covering Freddie up and that made me struggle even more, when feeding because I just wasn't comfortable at that time to feed uncovered, in front of people. If there was any a next time, I would ask people to phone me or text me before they turned up uninvited. Main reason being: so I could get used to breastfeeding and recover better. Over the months, breastfeeding just became natural to me. It wasn't natural from the start, there was a lot of ups and downs with feeding times, cluster feeding and just trying to get 'used to it'. But as I was getting the hang of it, I loved it more and more each day. There wasn't a day that I hated breastfeeding until a few months later. I loved all the cuddles I was getting, taking in those precious moments and loving every single second of it, while holding his little hand. But as the months went by, I did struggle worse. I felt anxiety and depressions creeping back. I tried my hardest to try and help myself make me feel like 'me' but I just couldn't. I was awfully sleep deprived, which I struggled with badly. I had a baby who was so clingy on to me, I couldn't do nothing, and I couldn't leave him unless I left him absolutely screaming crying - which I still wouldn't be able to do anything. I was behind with work (I work from home) and mostly just struggled with me not feeling myself anymore. I did feel extremely guilty for not liking breastfeeding and so many days I just wanted to quit. But I didn't. The best thing I did was not give up. I carried on, and I am proud of myself for that. I will never hide that, and I don't think I should hide the fact that I was proud of myself for carrying on breastfeeding when I felt like I was struggling so badly. Eventually, after a couple of months of thinking, I decided to bring formula for Freddie's evening feeds when he was roughly 10 months old. I didn't once feel guilty that he had formula, but I felt guilty that someone else (his Dad) was feeding him. I felt like I failed him a little. My main reason for giving him formula in the evenings is so his Dad could help me out more. So I could have some 'me' time in the evenings, although, Freddie was an awful sleeper that I'd be up feeding him after an hour or so, sometimes less. But I soon got used to it an I started to enjoy my early evenings and having a 'little break'. As time went on Freddie was feeding less and less during the day. He would eventually only feed once in the morning and again to settle him for nap time. But I knew in my heart that he wasn't properly feeding before he settled for his nap and that he was just using it for comfort before settling. But I didn't mind at all as I do miss the nap time feeds. A few months after, Freddie eventually stopped wanting a feed in the mornings. This was more so because he was on the go and wanting to go straight downstairs with the girls in the mornings. Plus he was weaning and having normal breakfast with us all. I did feel really sad about him weaning himself off the morning feeds because I absolutely loved and treasured our morning cuddles. But I do feel super lucky that he will still cuddle up to me every single morning, without fail. He loves to be snuggled up in the duvet in my arms and holding my hand. I love that we still get those morning snuggles. At 15 months, he stopped feeding all together. It was strange as it just happened all of a sudden. I was expecting it but not like that. I was expecting it being a struggle to stop him feeding, but he weaned himself off and it again, it just naturally stopped. I was lucky enough not to have any problems after he stopped feeding. Still to this day, it feels strange. It feels like a long-distant memory now, but I am so glad and so happy that I had the chance to experience breastfeeding. I have treasured every single feed, even during the most difficult times when I struggled and sat in tears while feeding. I will never forget the journey we had, and I'm so happy I was able to feed my last baby.